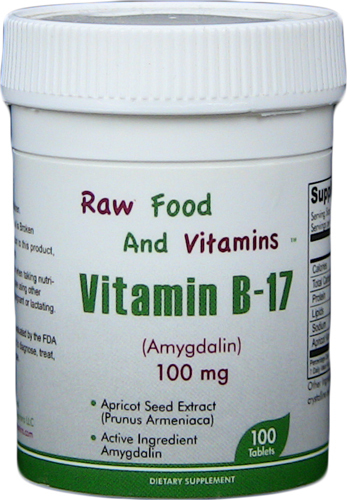 The vitamin B17 100 mg tablet is simply for convenience. It's an extraction of only the B17 from the raw apricot seed. The raw apricot seed has other nutrients in it since it's a whole food. But the tablet is only the vitamin B17 extracted out in a 100 mg tablet which is enough to prevent cancer according to the book World without Cancer. The purpose of taking the tablet over the seed is pretty much for convenience, as stated before. Seven seeds per day or one 100mg tablet is the dosage recommended for prevention. I prefer to do both that way you're getting the whole food and the convenience of the tablet in case you're not able to have the seed with you. A bottle contains 100 tablets therefore making it a supply for a maximum of two months.